The Alarm.com ADC-VC725 Outdoor 720P POE Mini Bullet Camera with Night Vision provides great recording functionality for Alarm.com users. Buy the ADC-VC-725 here. The Alarm.com ADC-VC725 is a 720P HD mini bullet style outdoor security camera. Similar to the VC825 dome camera, this device requires an ethernet connection and can be powered by POE or with a separately purchased transformer. 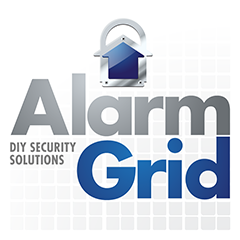 It is a great camera for use with the Alarm.com service. If you choose to power the ADC-VC725 via POE, it requires a POE network switch or a POE injector. The POE switch injects the power directly into the ethernet cable without the need for a POE injector. If you are connecting your camera to a normal network, you can simply purchase the injector and connect it in-line with the ethernet connection to the camera. The ADC-VC725 was specifically designed with outdoor use in mind. Its IP66 rating makes it weatherproof and dust-tight, allowing it to withstand whatever nature can dish out. The 720P recording quality will work just fine for most applications. The camera also works great in dark environments thanks to its IR night vision range of up to 95 feet. The device comes complete with a camera stand, mounting hardware and waterproof lens cap.